Notes This album was created as a fund-raiser for the Children's Village of Jerusalem, a shelter for at-risk children in Israel. In this recording, the children thank the community for its help and support by giving the gift of song to Jewish families everywhere. 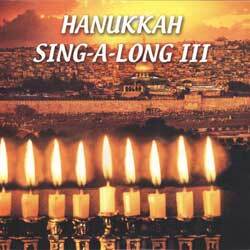 The songs celebrate Hanukkah, the happiest of holidays, and just listening to the voices of these children makes the spirit of the holiday come alive. The album cover includes the words to all the songs so families can sing-along and share the happiness with these children.